The copal was mined in the Republic of Honduras. 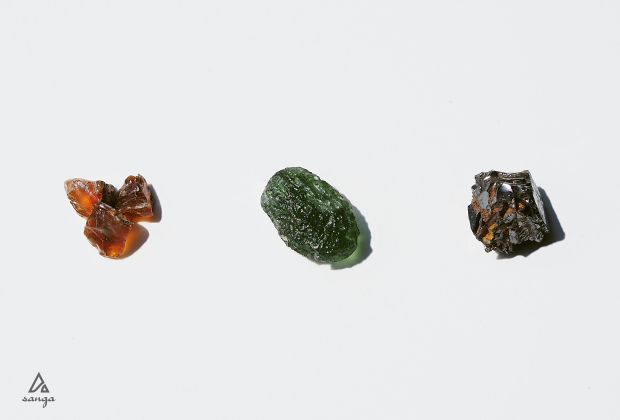 The moldavite was mined in the Czech Republic. The shungite was mined in the Russian Federation. ©Copyright 2019 "sanga" All Rights Reserved.